Few would disagree that our world is in trouble. Many would admit that the earth, our planet, has been harmed and damaged in what seems like beyond repair. What if there were a way to heal the earth and all the life on it? What if there were a healing modality that could bring back what we’ve lost? In “The Story of Aqualead” by Sabine Blais we learn of just such an energy. The author shares her intimate experiences in learning how to heal the earth and the life forms living on it. She details the birth of this knowledge and shares some of the ways she has used it and her vision for its future. The pictures in this book alone are worth the read. Gorgeous locations many of us will never see for ourselves, but we might get a glimpse of some of the natural beauty and energy our author is trying to preserve in her quest; a quest she’s sharing with you, the reader as well as her students. The closest similarity with which you may be familiar is Reiki – an energy form of healing. Yet, Aqualead has its own, unique set of symbols and energy. We’re introduced to angels, elementals, dimensions, music, meditation, crystals and more – all of which play a part in this enormous healing venture, yet Blais explains the simplicity of this modality. Healers and laymen alike will find something interesting in this personal account. Anyone wishing to further their healing studies may discover their next step in the Aqualead practice and inspiration as they read the honest and open expression put forth by the author. Sabine emphasizes the equality of all of her students. One needn’t be rich or of any particular social class to learn Aqualead. She has had students of all levels and kinds of life. She has taken people through the stages up to Master and sent them on their way to help with her world vision. Most of all, Blais lets everyone know that learning never ends when it comes to sharing healing energy. There is always something more to learn, something else to give and to receive. necessary attunement(s) in order to practice and teach Aqualead energy healing. free and undisturbed in their own natural environment. 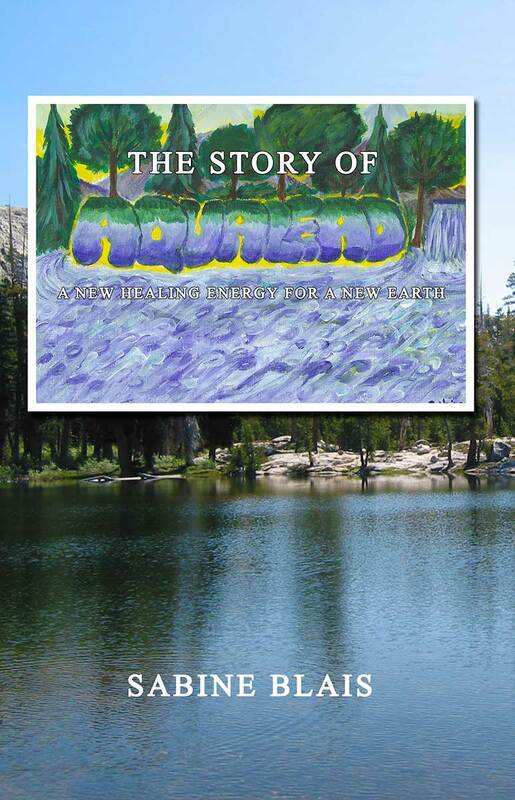 “The Story of Aqualead” may be just what the healing community has been waiting for. What needs more healing than the earth and all that live on it? The imbalances that exist are addressed. It is the imbalances that are the catalyst for the change that birthed Aqualead. Anyone who wants to change the world may very well feel called to learn more about this. Here is your starting point. This entry was posted in Uncategorized on March 23, 2014 by sabineggr. Copies of The Story of Aqualead are now available at Serendipity Books & Gifts, located at 1337B Wellington street, Ottawa, Ontario (613)722-3400. The retail price of the book is 14$; please note that the store is closed on Wednesdays and Sundays. This entry was posted in Uncategorized on March 14, 2014 by sabineggr. Talk at Singing Pebble Books from 6:30pm to 8:30pm with Sabine Blais, about Aqualead and her new book: The Story of Aqualead. The Ottawa Small Press Book Fair (noon to 5pm). Healing in the Valley – Arnprior’s 7th Annual Wellness & Craft Show, from 10am to 4pm. I am pleased to enroll both my ebook titles on the Smashwords Read an Ebook week Promotion on during the week of March 2nd – 8th, 2014. Thousands of ebook titles will be offered at a discount price, look for The Story of Aqualead and The Psychic’s Guide, Volume One among these titles enrolled in the promotion. This entry was posted in Uncategorized on March 1, 2014 by sabineggr.